Content is the key to the social networks, without content there is no interest, if there is no interest, there is no reading or interaction, and without interaction, it's hard to sell. Content creation is an art and requires inspiration, I hope your ideas will help you to that. Prepare a plan of contents newspaper, a declaration of intent comes in handy to start. Attend industry forums, area experts, and Yahoo Answer to identify problems in your sector. Raise the problems you will solve your audience. 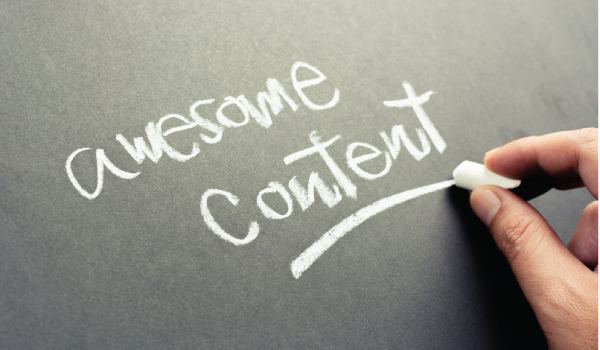 Focus your content towards the most valuable audience for your business. Create less content, if necessary, but it is shocking. Incorporating three people in the organization, from different departments, the plan content. Generate own presentations of the company which raises its content strategy in social and upload them on the web to Slideshare. Detect somewhere, space company that he has not paid any attention to now and create stories about it. Perform casting between the computer to search the actor of the company that will be the leading character of some videos. Propose an interpretation workshop paid to have a pool of employees/actors. Propose a payment in kind to employees that generate more content on the blog and social content. Develop Whitepaper value for users who register their platform. Interviews with suppliers, customers ... and create a category in your blog. Present your company team showing his human side, creating a content each. Create a public list of the profiles of internal collaborators. Conduct a study / very technical survey on a topic related to its industry or its customers, no one has done, and you may have annual continuity. Ask meetings with a team of private people to make a brainstorm about content to perform. Hold meetings targeted computer, and then podcast topics that may be proposed as the audience discussion. Make podcast with different people from various departments in an interview format. Collect the best questions from customers in a simple operating system. Present a challenge subscribers to content platforms, Blog, Youtube, etc. Try writing in magazines related to your industry or business. Transversely split the company and create content areas for each of them, from production, logistics, finance, marketing, etc. To face each of the works that contribute value to the company. Create content with people as one of the major characters in play. Thinking its titles well regarding SEO variables. Check if its contents are ready for multi - media mobile, tablet, etc. Send your best content through a newsletter to its database of customers, suppliers, employees, contacts. Create a physical event to your audience where they talk about their activity but the sector trends, presentation of the study. Send a journalist and camcorder to interviews and reports on events that add value to your company. Disaggregate content with the dynamics of cluster cherry content to see how much more can come out of one. Provide regular surveys and public to the employees participatory content creation. Build a program content with the top 10 complaints about customer service. Read blogs and watch inspirational videos that are not in its sector. Offer the possibility for external partners to create content. Create case studies with clients or actions and achievements. The testimonials in video or written of his clients are also good content. Create free webinars to educate and train, especially those more complex products. Opinion articles on the specialty of the worker. Gather in ebook all content grouped in the same category and make it available to the community. Create your own series of eLearning for teaching make your activity. Create Roundtables with experts from different specialties and burn a podcast. Create infographics on the operation, manual, experience their products and services. Launch a right or virtual forum either sectoral or cross. Create a character or comic telling a different story around the company. The audiobook can be an innovative option to format. The video tutorials offer step by step the most complex tasks is an attractive option for the user. Online games in which the mark is somehow present. Create a discussion forum on the sector if there is any reference. You can create a Tablet application with multiformat content. Can you think of any more ideas for content generation? Share it if you think it might be useful to your network of contacts. Hacking Wifi Passwords on Android 2017 99% Working!